Stopping the spread of communicable diseases. Catching cancer in its early stages. Preventing teenagers from smoking cigarettes. These are all based on choices and behaviors. 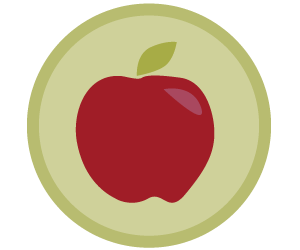 Our goal in the Division of Health Behavior and Health Promotion (HBHP) is to enable people to achieve their optimal level of health through healthy decisions and behaviors. In order to accomplish this, we work with organizations, and communities to develop the knowledge and skills needed for making healthy decisions and enacting healthy behaviors, and to promote the conditions and resources necessary for healthy living. We also collaborate across disciplines at Ohio State to advance knowledge and understanding of healthy behaviors. 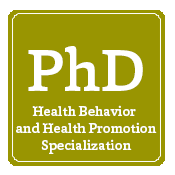 Research in healthy behaviors and health promotion seeks to understand the choices and behaviors of individuals and communities with regard to health. We also evaluate existing and pilot health programs. Much of our scholarly work is done in collaboration across the university and with other institutions, as well as with community partners. Our curriculum emphasizes the social and behavioral determinants of health and methods for changing behaviors in populations. 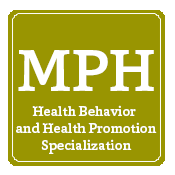 The Health Behavior and Health Promotion program offers two outstanding degree programs with a concentration in health behavior and health promotion: the MPH (Master of Public Health) and the PhD. Both degree programs provide students with a thorough knowledge of health behavior and health promotion from its fundamental relationship to public health to role in implementing intervention strategies. Courses also offer a rich array of research opportunities and practical job experiences. 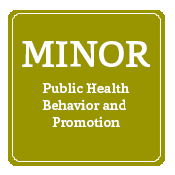 In addition, we offer a graduate minor in Public Health Behavior and Promotion.